The lowest cost, performance air curtains in the Envirotec range, designed for either ‘on-view’ or ‘recessed’ applications. 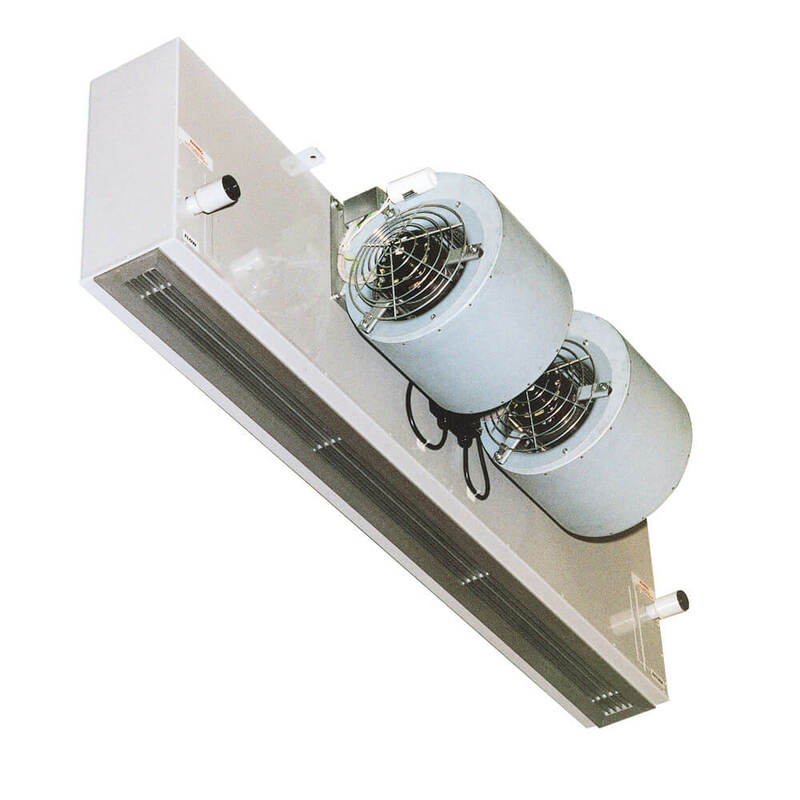 A powerful air curtain, often mounted in bulkheads or installed over loading bays with the fans exposed. The self cleaning LPHW coil design reduces the maintenance requirements.